Although Syria’s eight-year civil war is not yet over, there is wide acceptance throughout the Middle East that President Bashar al-Assad’s regime has survived intact and will remain in government. This assessment is reflected in the current discussions amongst Arab states to readmit Syria to the Arab League. Assad’s forces, supported by Russia, Iran and Lebanon’s Hezbollah, now control some two-thirds of Syria. The remaining one third comprises three general locations: the Kurdish-dominated north and northeast, Idlib province in the northwest bordering Turkey and host to the remnants of various Arab and foreign anti-Assad forces, including Islamic State (IS) and other extremists, and a small enclave of IS remnants in eastern Syria. The expected, some say imminent, defeat of IS remnants in the eastern enclave by US-backed Kurdish forces could facilitate a deal between the Kurds and the Assad regime enabling the latter to re-establish formal control over the Kurdish areas. But there are no prospects in the foreseeable future for resolving the stand-off in Idlib. Prior to the Arab uprising in 2011, Assad had formal control over the Kurdish areas but under an arrangement which also allowed a form of quasi-autonomy for the ever-restless Kurds. Assad effectively relinquished that control when forced to redeploy his forces, primarily to Aleppo, to prevent being overthrown by the rapidly expanding Free Syrian Army (FSA). IS also emerged as a separate major threat, especially from hardened militia based within the Islamic caliphate which it established across vast areas of central Syria and Iraq. The disparate Kurdish and other minor political, ethnic and religious groups mobilised to fill the vacuum created by Assad’s redeployment. 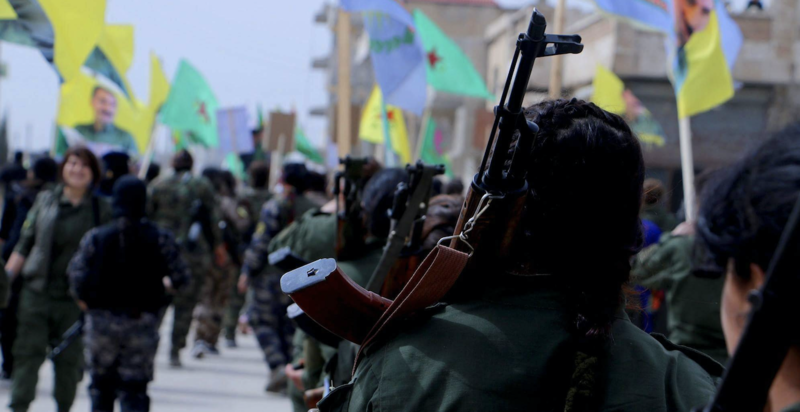 Ultimately, after several interim incarnations, the Syrian Democratic Council (SDC) emerged as the dominant coalition body representing those Kurds who opposed Assad’s control. Its objective is autonomy within a federated Syria. The various militia also merged to establish the Syrian Democratic Forces (SDF), dominated by the Kurdish Peoples’ Protection Units (YPG), an affiliate of Turkey’s Kurdish Workers’ Party (PKK), a proscribed terrorist organisation. In response to the IS threat, in particular, US ground troops, ultimately numbering some 2000, were progressively deployed in support of the SDF. This provided training, weapons and an on-call US and allied strike fighter capability. The SDF, especially the YPG, proved highly effective fighting IS. For the SDF, IS was their principal target. Despite a couple of messy skirmishes, the SDF did not target Assad’s forces, nor did Assad’s forces target them. The presence of US forces ensured the SDF’s protection. Although the tide began to turn in Assad’s favour in 2017, by 2018 it became increasingly apparent to the Kurds that Assad would survive, that the IS caliphate had been destroyed and those 1,000 – 1,500 IS remnants still fighting the SDF and fleeing east faced imminent entrapment and defeat. This reportedly triggered President Donald Trump’s controversial decision on 19 December that IS, in eastern Syria, was defeated and US ground forces would be withdrawn in approximately a month. According to sources in Lebanon, the Kurds had anticipated Trump’s likely move some months earlier. They assumed any withdrawal of US forces would simultaneously withdraw the physical protection they provided and Assad would want to quickly re-establish control over Kurdish areas. Those sources also claimed most Kurds accepted their best option was to return to Assad’s control but seek to negotiate the best deal possible. They expected Assad would dismiss the degree of autonomy the SDC proposed but offer a form of conditional quasi-autonomy similar to what they had before. Conditions were expected to include disbanding the SDF. The alternative, Kurdish rejection of any deal with Assad and an attempt to go it alone, was assessed as likely to precipitate a localised civil war. If so, a very bloody guerrilla war could go on for years. Another reason cited for going back to Assad’s control was protection against Turkey who has major security concerns about the close YPG/PKK affiliation. While the PKK is widely proclaimed as a terrorist organisation (including by Australia), the YPG is not, except by Turkey. 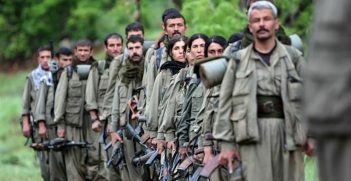 The Turks have conducted cross-border attacks against the YPG, and have said they will continue to do so, to prevent continuing support to the PKK. Last month Turkey and the United States discussed a 30 km deep terror-free safe zone on Syria’s side of the joint border as one of several potential solutions to provide mutual protection to both Turkey and the YPG. The current population of Idlib province is estimated to be approximately 3 million people, half of whom are displaced from elsewhere in Syria. According to the Centre for Strategic and International Studies, some 70,000 of these are anti-Assad militia forces, many of whom have taken refuge in Idlib from combat zones elsewhere in Syria through specially arranged amnesties. Up to 45,000 are members of the National Liberation Front (NLF), a loose coalition formed by Turkey of differing anti-Assad military factions and some 25,000 others are hard-core extremists, primarily members of IS and Hayat Tahrir al-Sham (al-Qaeda in Syria). Turkey and Russia formally agreed in September 2018 to declare a demilitarised zone in Idlib, pending a possible political solution that would avoid a further massive refugee flow into Turkey (they are already hosting some 3 million Syrians) or the extensive bloodshed expected amongst both militants and civilians should Assad’s forces seek to re-take the province by force. So far, the agreement has held despite minor breaches. A solution to Idlib province is a work in progress. Short-term options reportedly include attempts to isolate the militants from non-militant civilians within Idlib, to protect the latter if fighting breaks out. Another is to physically relocate the militants to Turkish-controlled sanctuaries along the border. These are temporary solutions only. Of significant concern to the Assad regime is the likelihood most militants, especially terrorists, will simply merge with and disappear into the civilian population, only to emerge later to conduct covert guerrilla warfare against the government. A longer-term solution proposed by the United Nations is a political settlement which allows for the Syrian constitution to be amended to provide opposition elements greater representation in government. 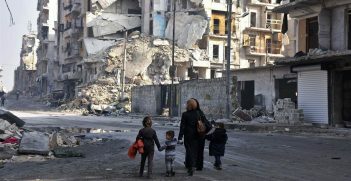 It is claimed this would help stabilise Syria and facilitate the re-settlement of the approximate 6 million displaced persons within the country and the repatriation of many of the estimated 5.5 million Syrians living in foreign countries as refugees. However, the UN proposal is struggling to gain traction. Opposition Syrians, the United States and other allies all want a solution that will ultimately replace Assad. But Assad wants to remain in power and, for strategic-interest reasons, he is supported by Russia and Iran. The pendulum, presently, is swinging in Assad’s favour. The outcome of the fight against IS in the eastern enclave, and its effect on the Kurds, will be important in shaping future events in Syria. 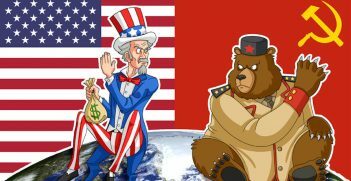 So too will be the related actions of Russia, Iran, Turkey and the United States. This is a subject for separate reporting. Ian Dudgeon is a presidential associate of the AIIA. He has recently visited the Middle East.